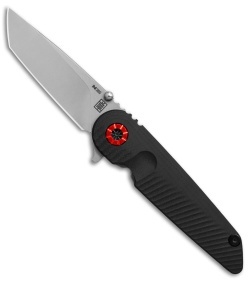 This Falco model sports a black G-10 handle and a stonewash finished M390 steel blade with a tritium flipper insert. The Falco flipper from Chamberlain designs offers sleek gentlemen's carry style and a sturdy EDC build. Attractive lines meet high performance functionality with a carbon fiber handle that is backed up by a titanium frame lock. 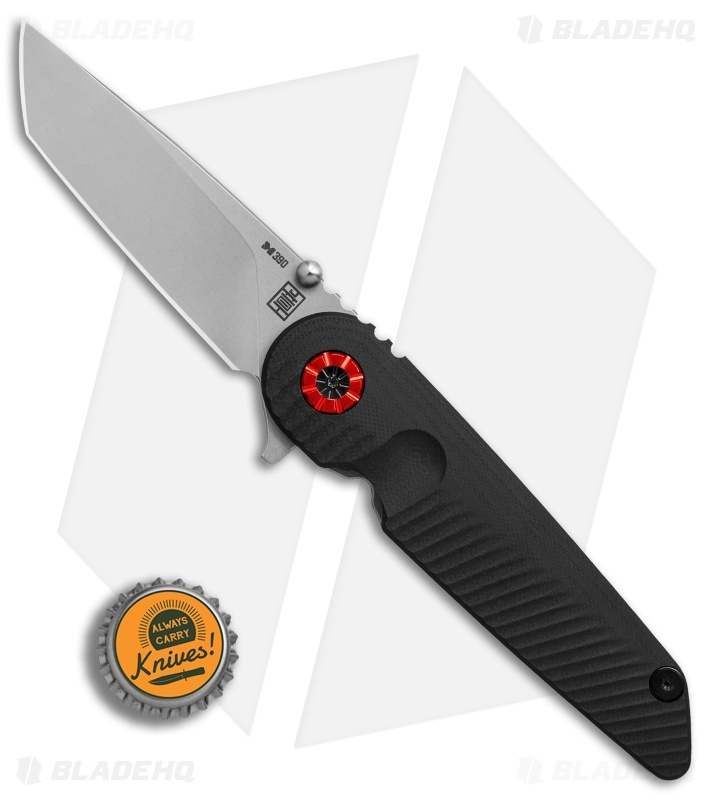 The classic tanto blade adds a modern aesthetic with a flat grind for a undeniable cutting edge. A low profile titanium pocket clip finishes off the design. Item includes a soft leather pocket pouch. 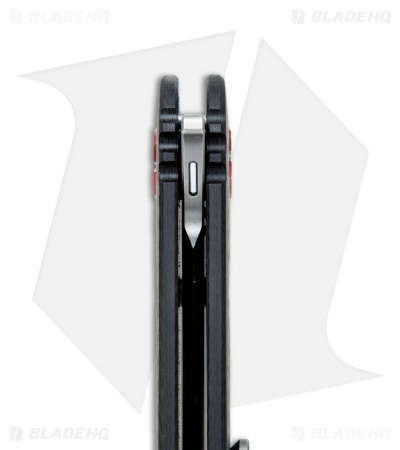 Titanium frame lock secures the blade in the open position with a replaceable steel bar insert. 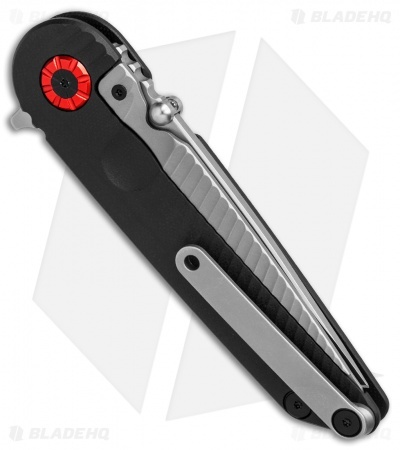 Ambidextrous one-hand opening is facilitated with dual thumb studs and a blade flipper. Bohler M390 steel provides a strong blade with excellent retention properties. This knife is on the larger side of things, how ever I really like the over all design. The edition of a tritium capsule to the flip tab is pretty cool, glows all the time. The reason I'm giving it three stars is because of three things that I find pretty annoying. If you try to use the tab like a light switch the tip of your finger goes right into the sharp gimping and it hurts, if i pull it like a gun trigger than it's fine. 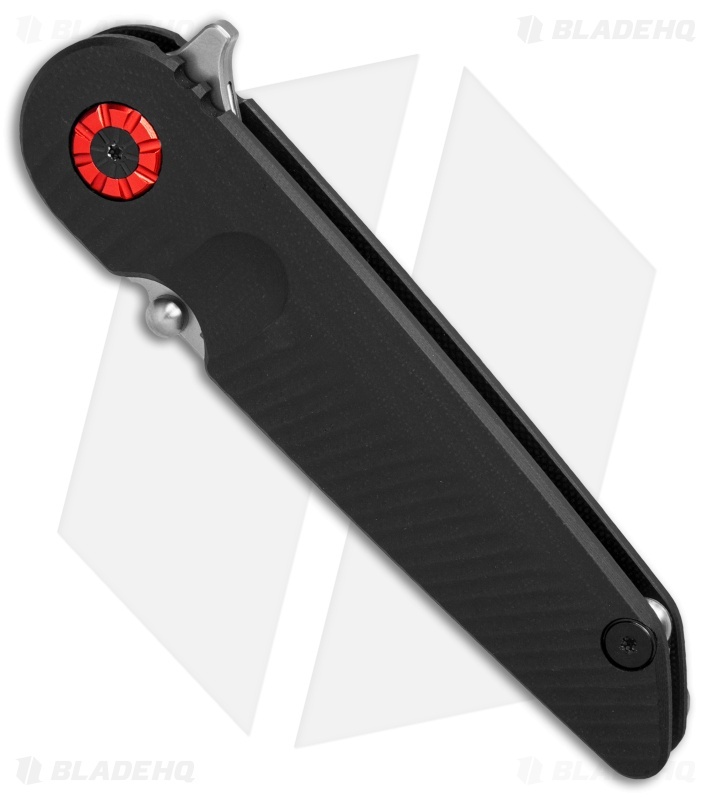 It's also impossible to use the thumb studs, the detent is too strong for that. 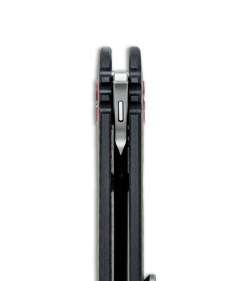 And lastly the actual pivot, the blade rides right on the center axle causing it to slowly loosen and come apart. other than that it's a cool knife if you want to support this new knife maker, even comes with nice leather pouch and cleaning cloth (at least mine did).